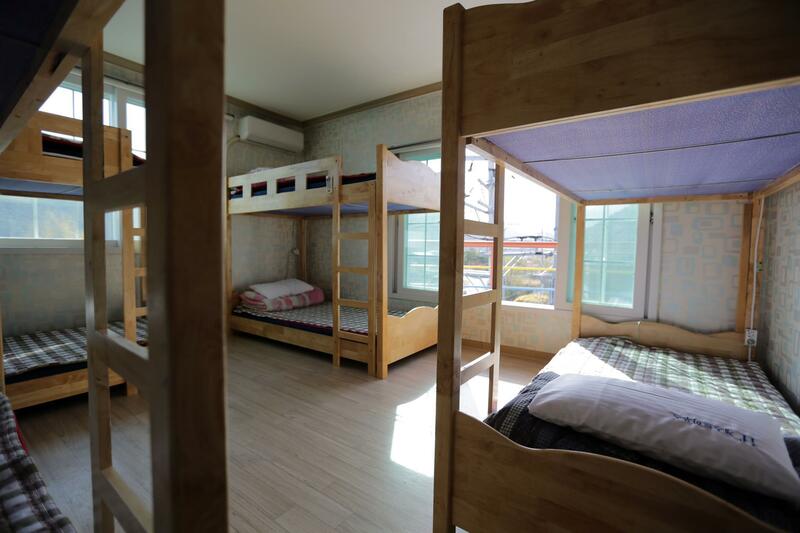 "I was pleasantly surprised, this guesthouse was simple, yet..."
Have a question for If Guesthouse? "The staff is very nice." "Room are big and clean." 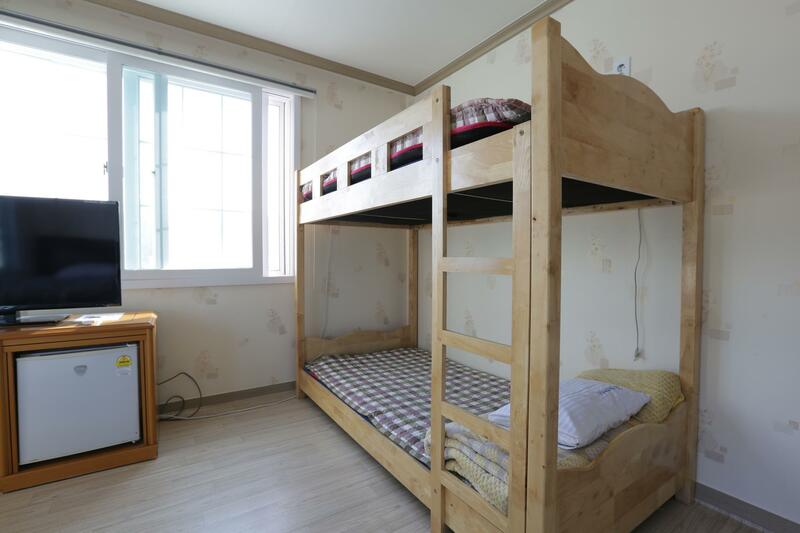 "The location is good and 5 minutes walk to the train station..."
If what you're looking for is a conveniently located hotel in Gangneung-si, look no further than If Guesthouse. From here, guests can enjoy easy access to all that the lively city has to offer. With its convenient location, the hotel offers easy access to the city's must-see destinations. 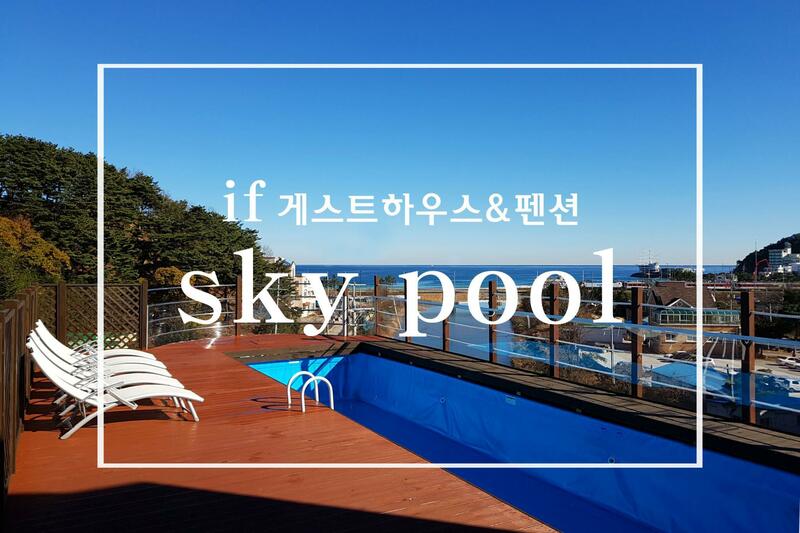 Take advantage of a wealth of unrivaled services and amenities at this Gangneung-si hotel. This hotel offers numerous on-site facilities to satisfy even the most discerning guest. Step into one of 18 inviting rooms and escape the stresses of the day with a wide range of amenities such as television LCD/plasma screen, complimentary instant coffee, electric blanket, locker, mirror which can be found in some rooms. The hotel offers many unique recreational opportunities such as outdoor pool. Enjoy unparalleled services and a truly prestigious address at the If Guesthouse. "Beautiful surroundings - just beside the sea." I was pleasantly surprised, this guesthouse was simple, yet the location was good (in close proximity to the train station and beach). The building had fun, cute artwork on the walls, and a nice pool and pretty views on the rooftop! If travelling out, towards central Gangneung or other coastal cities, there is the option of taking the train or bus out of Jeondongjin (but it needs some research and experience with using Kakao maps to navigate). It was in a small town - the beach was small but less crowded than the other ones along the East Coast. The breakfast options were limited (toast and tea/coffee), but it's okay for budget travelers. 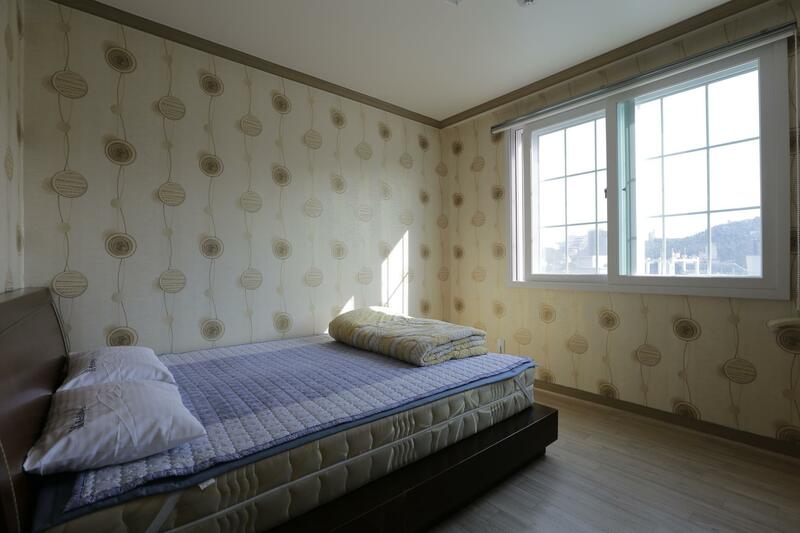 Although the accommodation price was inflated everywhere in Gangneung during the Olympics, this place was almost fraud in my opinion, considering the quality of the facility, services, staff, location and everything. Including breakfast? It was just a loaf of bread sitting in the little fridge and we had to get the pieces and put jam on them! It was a bad joke! Very disappointing!!!!!! The price was extremely, extremely, (I can repeat this a hundred times!) overpriced due to the Winter Olymoics. The place was far less than I had expected and it was terrible. There were also some local Koreans who stayed at the same time, but paid non-inflated prices for their stays which, I guess, was a tenth of what I paid. I really wanted to complain about the whole thing (including the towels like rags they gave us to use) but they didn't understand any English, so basically communication was impossible. I will let it go now as I want to keep my Olympics memory as a wonderful one, although I still think it was a shame. Beautiful surroundings - just beside the sea. Staff were very friendly! The building is old (toilet clogs up if you throw tissue in it) but the interior is nicely painted. The location is good and 5 minutes walk to the train station. The staff is very nice. Would go here again. The room and showers were very clean, many attractions are within walking distance, and the staff is very nice. I even forgot my laptop charger and they were so kind to sent it through the post to my next address, thank you so much! There was also a small get together in the evening time, great way to meet other guests and the staff. 109 bus station just beside the house, it is very convenient from/to Gangneung. Only 5 mins' walk to beach. Room are big and clean. Close to Jeongdongjin station.. simple breakfast..
- Clean guesthouse - Quiet and calm surroundings - Near from jeongdongjin station. At the time I arrived in Jeongdongjin station, I didn't have the exact direction to get to the guesthouse. I just asked a station officer where the guesthouse is and then she kindly told me the location. You just have to exit the station main building and then you will see a small road across the station. Cross the road in front of the station, and go straight walking in that small road across the station. In the end of the small road, you will find a bigger road and just turn left. You will see CU convenient store and a bus stop (If you want to go to Gangneung bus terminal, you can take the bus from this bus stop). Keep walking for a little bit and you will see the guesthouse. Comfortable bed, clean room, strategic location and friendly staff. We stayed here to watch the sunrise of Jeongdongjin the next morning. The bus frpm Gangneung stops right in front of the guesthouse. It is only 5 min walking distance to the beach and train station. Nearby are seafood restaurants and there are convenience stores too. The staff speaks simple English and there are English signage around. Although we are there for a short time, we enjoy the stay and had a good rest. Very valuable. 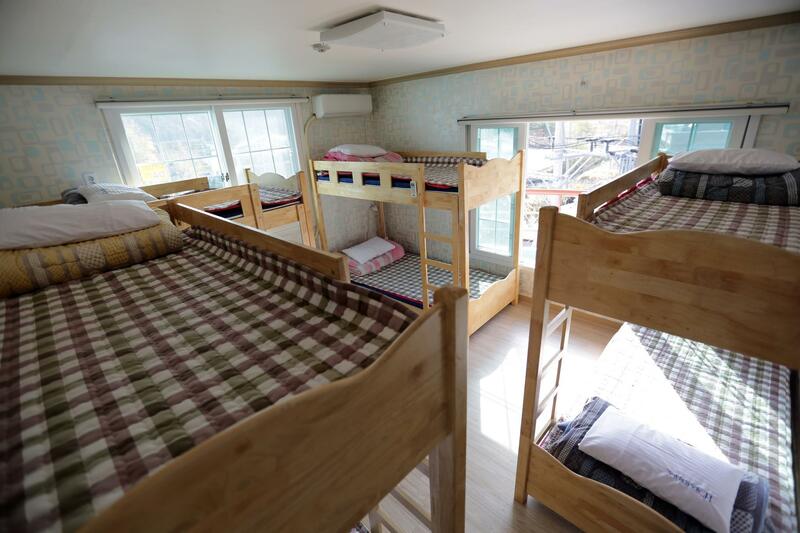 Although there a bunk bed in the room, the size of the room is really big enough which is out of our expectation. Moreover, the view of our room is wonderful. Though my Korean is very poor and the staff is not good at English, he used "Translate" to tried his best to understand our needs and provide help. He is very nice and helpful. It was great, we had a wonderful time. The people working at if guesthouse are unbelievable friendly and nice! The food is perfect (especially the traditional corean cold noodle s) thanks a lot again . Not bad.. but i don't recommand! It was a bit hard to find the hotel as it is not really near the beach but it is within walking distance to local restaurants (around 10-15 mins walk). The owners cant really understand any english or chinese so communication was very hard. The room is very big and clean. Wifi connection is fast and good even in our rooms. There is lift in the hotel so it was very easy to carry our luggage to our room.